It’s been less than a week since I launched The Human, Earth Project. I was a little nervous in the beginning, because I’ve never done anything like this before, and didn’t know what would happen, but over the past six days I’ve had a huge outpouring of support via email, Facebook message, on the Facebook page and via contributions to the Indiegogo site. Every day, dozens more people have been visiting The Human, Earth Project website, watching the video, and starting to follow the project on Facebook: it’s been a very exciting thing to witness and be a part of. 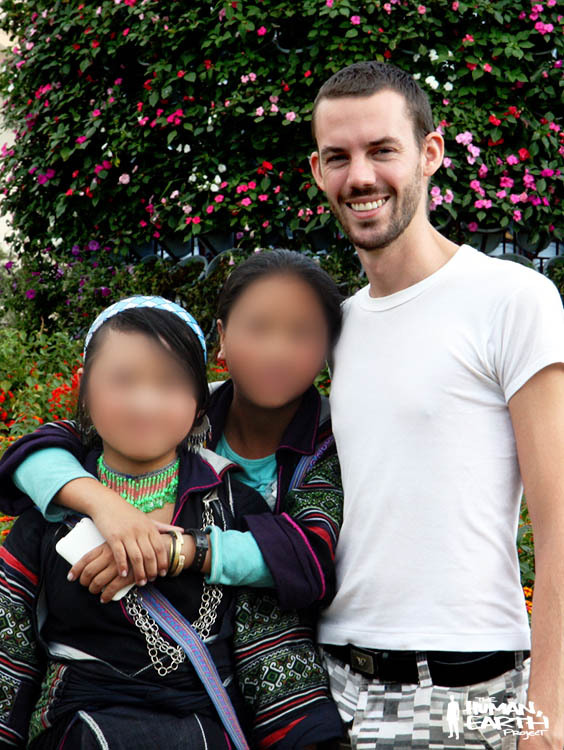 I’ve heard from a lot of people who also knew my Hmong friend M in Vietnam, and many have contributed new pieces of information to the jigsaw I’m currently trying to assemble, to understand what’s happened to her, and what might best be done to try and bring her home to her family. Some of those people were in Vietnam while I was there, many others I’ve never met, and all want to do their part to help. I’ve been contacted by an English girl who was living in Vietnam when M went missing. She began some investigations of her own, spoke to M’s family, and has documents and information which are sure to be of use in trying to find her. I’ve also been speaking to an American who was in Vietnam while I was there. He spent two years living amongst the Hmong, speaks their language fluently, and may be able to come and help me in my search once I reach Vietnam, which would be of enormous assistance. Another story currently unraveling is that of another good friend of mine, in Malaysia. While not one of my portrait subjects, she’s someone who’s been a great inspiration, who I’d like to introduce to you in the course of my journey. Yesterday she was rushed into hospital and today will be undergoing emergency surgery for a brain tumour. When I began the crowdfunding campaign, I had two options: fixed or flexible funding. Taking the fixed funding option would mean the project would only go ahead if I reached my target. Instead I chose flexible funding, which means I committed myself to undertaking the project from the moment I received my first contribution, three minutes into the campaign. Whatever happens now, I will be returning to Asia, and doing what I can to find the people in the photographs. The only question is how, and how much support I have to make this project a success. This week I’ve received from Australia my guidebook to Southeast Asia which I carried for two years, and which will guide me again for the first four months of my journey. Its pages are filled with little maps and clues I left myself, which will be invaluable in retracing my steps and finding the people in the photographs. At the moment, I’m working to expand The Human, Earth Project website. Over the coming days I’ll be adding a feedback page, to share some of the amazing messages I’ve received. I’ll be adding images of my previous book of travel photography, for those who haven’t yet seen it. I’ll also be working to expand the campaign to other visually-oriented social media sites, such as Imgur and Pinterest. I’d like to thank my brothers, Nick and Will, who have both been of great help with this side of the project. In the first days of the campaign, people reported issues with trying to contribute through the Indiegogo website. There haven’t been any problems reported for several days now, and I’m doing all I can to get the word out there. If you know anyone who might be interested in following, or contributing to, the project, please let them know, and if you’re interested in contributing something of your own, please do. Every bit counts, and brings us that much closer to making the project a success.